We take a look back at a classic SEGA arcade game on this week's episode of Shack's Arcade Corner. 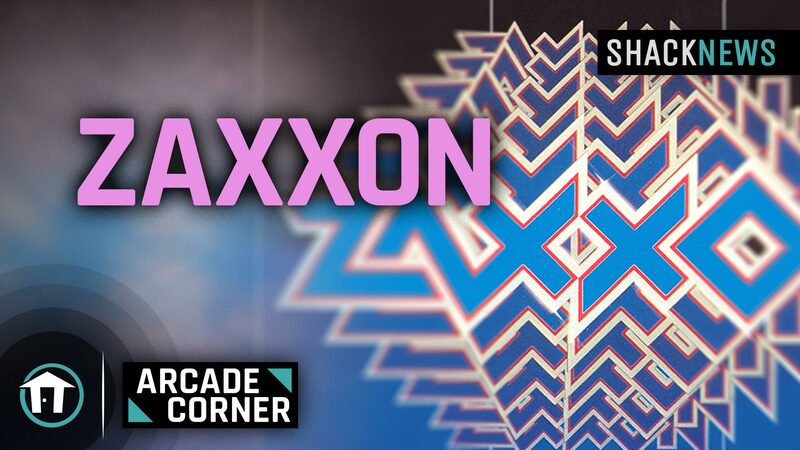 This week on Shack's Arcade Corner, we take a look at Zaxxon. Zaxxon is an isometric shooter arcade game, developed and released in 1982 by Sega. Some sources claim that Japanese electronics company Ikegami Tsushinki also worked on the development of the game. Players would pilot a ship through heavily defended space fortresses. The game was featued on a bunch of different television shows and movies, as it still carries a ton of old school arcade cred from back int he day. The game featured an altimeter to gauge just how high you were flying as it was pretty difficult to tell. Zaxxon was a super ambitious undertaking by SEGA and is worth dumping quarters into if you come across the old arcade cabinet. Check out this video to find out more about Zaxxon. Surprised you didn't mention the Zaxxon 3D Master System port, which used the 3D shutter glasses. That was really cool for a late 80s home console.